I’m trying to use more natural products with my hair and face care as well as going more minimal, and I’m wondering what you would recommend for a shampoo. Your bar soap? Body wash? Your Equine shampoo?? Thanks for writing and for your mission to cut out the chemicals. 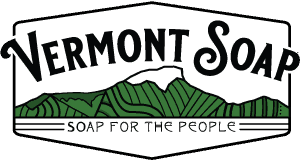 Handmade bar soaps are unlike any foaming product you have tried…when properly made and formulated. Order up one bar of the shea butter bar soap. Use it on face, body and hair. I believe that you will be quite surprised at the difference. The second product people usually try is the foaming hand soap. If happy with both we can start replacing your cleaning products with liquid sunshine. Best to you and a happy new year.